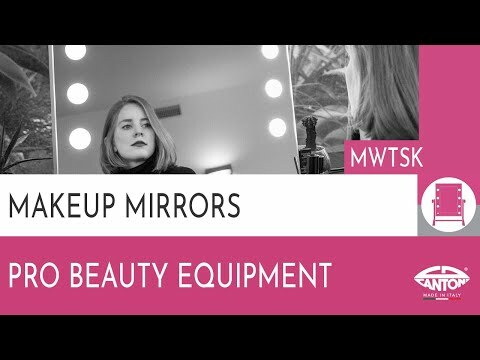 MW01.TSK is the new, portable and multipurpose mirror of the Cantoni makeup mirror collection.The special "top and drop" system allows to set up the mirror in few seconds on a table and on the wall both. The mirror is light and handy and you can easily transport it with the special padded bag. The exclusive lighting system featured by the mirror MW01.TSK is named I-light: the one and unique technology on the market engineered for the makeup and beauty professionals.